It's hard to believe that it's been seven entire years since the last Acid Witch record, I mean of course there's been a ton of stuff to hold us over, be it splits, cover EP's, or compilations, but there's a whole lot more to this band than I think a lot of people give them credit for. 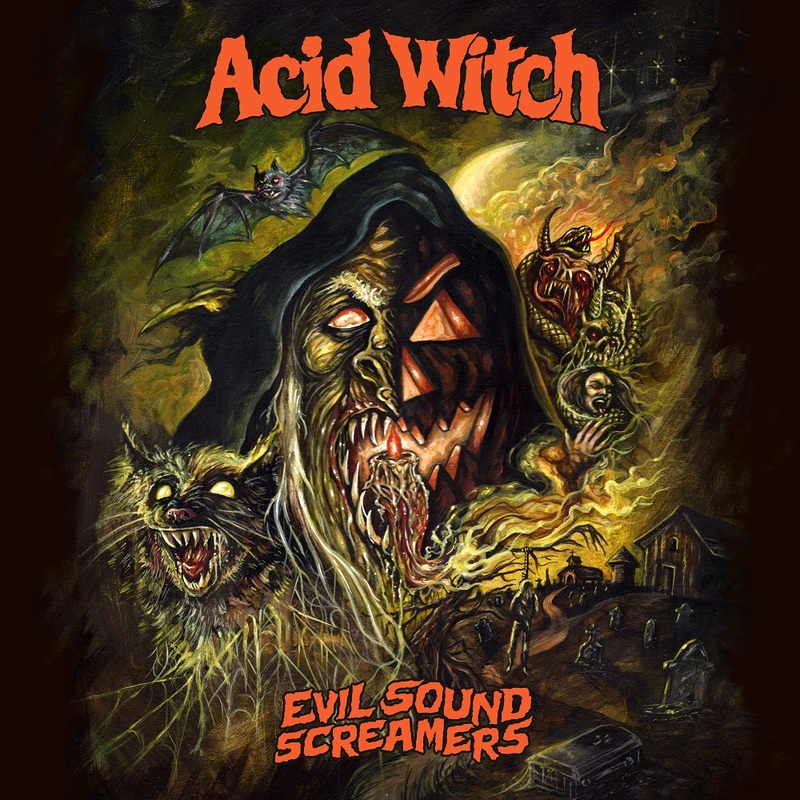 Acid Witch is the sort of band who have always capitalized on the weird Halloween magic that has always made heavy metal such a fun time. These horror rockers have always created potent and magical material but it feels like Evil Sound Screamers is a significant step forward for the band. What perhaps makes this record so special is that Acid King are starting to seriously move beyond a lot of their previous oeuvre. Whereas prior releases focused more on traditional concepts of stoner doom with a horror bent and touches of eerie keyboards this record has more electronics and truly disturbing loops serving to define what it's all about. 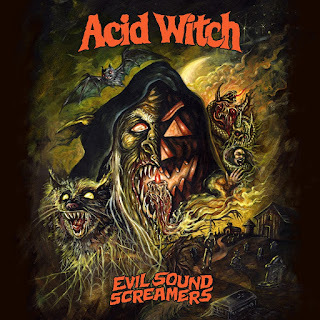 Acid Witch are a unique band and with this album they are pushing the things that make them special all the way to ten. They are forcing us to acknowledge the sheer dorkery of the band and the transcendent hold that Halloween has over all of us. It's always exciting when a band like Acid Witch reach a point where they move beyond their foundational concepts in order to craft something transcendent. With this record the band has looked beyond the common limitations of stoner doom and forced us to embrace the bloody screaming mess that this band has always been. It's hard not to fall in love with the beauty of Acid Witch if you can appreciate the inherent silliness that a band like this will always have. For me this is a delicious tribute and one I want to come back to time and time again. Second paragraph, but is a great band too.